LOOK WHO'S BACK, BACK AGAIN! Another year, another summer, another MAD weekend with the one and only MADJAM. In every visit he leaves us with great experience and epic night, lets see what's he preparing for us this time. 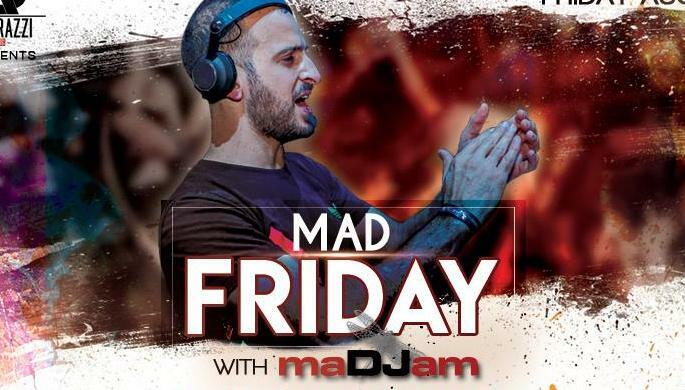 Get ready for an amazing MAD FRIDAY NIGHT with Pepperint Experience Dubai resident DJ. maDJam needs no introductions he's been rocking stages and dance floors all around the Middle East and internationally for the past decade. You just have to make sure not to miss it!